OUR GUARANTEE THAT YOU WILL LOVE ❤ YOUR NEW FLOOR!! Try Alaqsa Carpets Today & Get Flooring with the Great Discount‼???? Save up to 25% On Wood Vinyl Flooring With Our Stock Clearance Sale!! 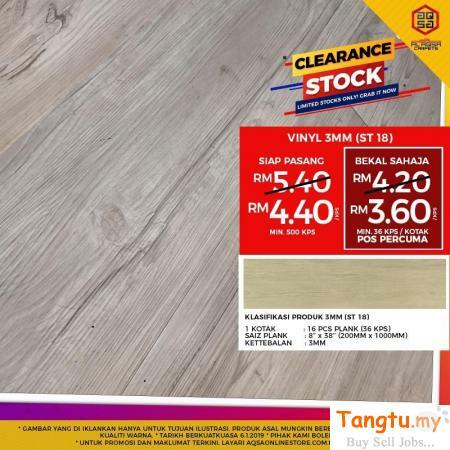 Wood Vinyl Flooring Only From RM3.60/sf. IT'S THE BEST TIME TO CHANGE YOUR FLOOR DECOR!